Hedge funds have had a rough time in 2018, logging their worst performance in 10 years, losing 3.4% on average, according to Preqin research. 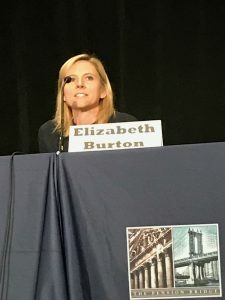 However, at a Wednesday panel on hedge funds at the Pension Bridge conference in San Francisco, the new Hawaii pension fund chief investment officer (CIO) touted their usefulness. “For the first 19 years of my life, I was raised to believe that hedge funds were the devil,” said Elizabeth Burton, who last October took over as CIO of the Hawaii Employees’ Retirement System ($16.5 billion). Burton acknowledged that hedge funds weren’t for everyone, as pension plans have differing goals. For her money, though, the hedge funds’ current rough patch is temporary, like that of every other asset. Known as a risk-averse plan, Hawaii’s does not allocate much to hedge funds —and when it does, it’s not in search of market-beating returns, but rather aims to offset risk. But the new CIO has an outside-the-box mindset. “I would always find a way to put the beta into the portfolio,” said the former Maryland State Retirement and Pension System’s managing director, meaning that by adding private markets exposure to the hedge fund portfolio, she kept the beta low and smoothed volatility. There, she oversaw the Maryland fund’s then-$4 billion hedge portfolio. Exposures she does like include quant multi-strategies. These funds, she indicated, are appealing because they have lots of resources and technology, and are diversely invested. “I don’t ever recommend just one hedge fund strategy,” she said.